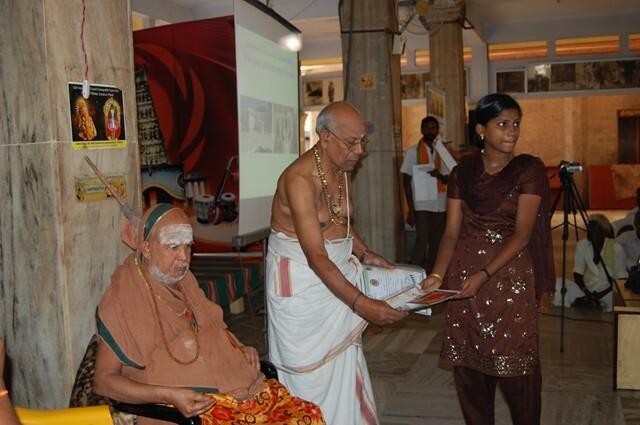 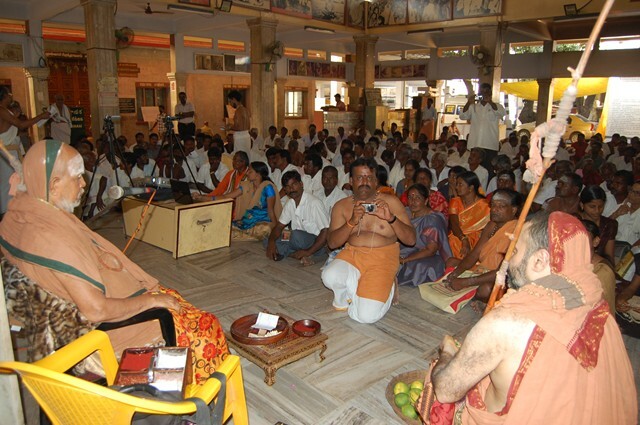 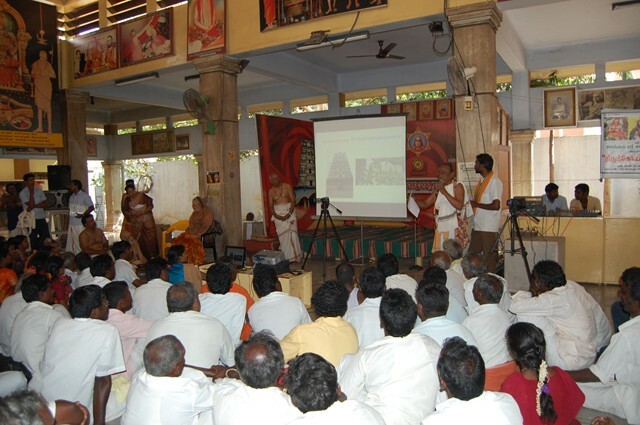 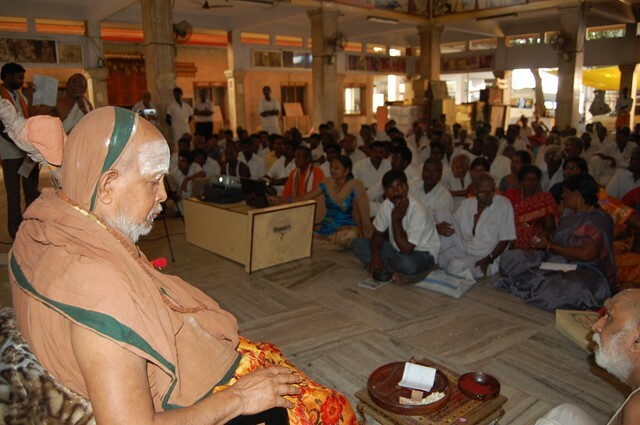 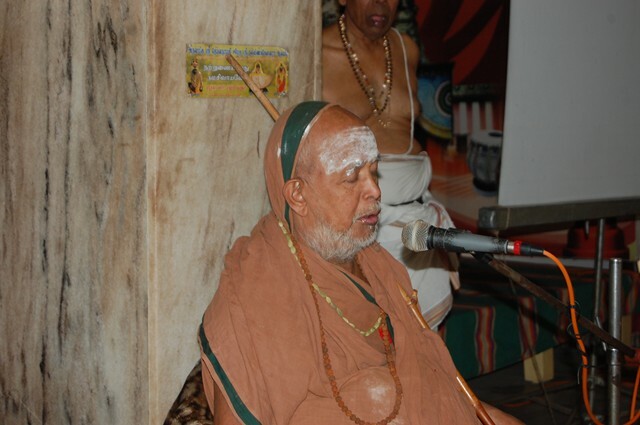 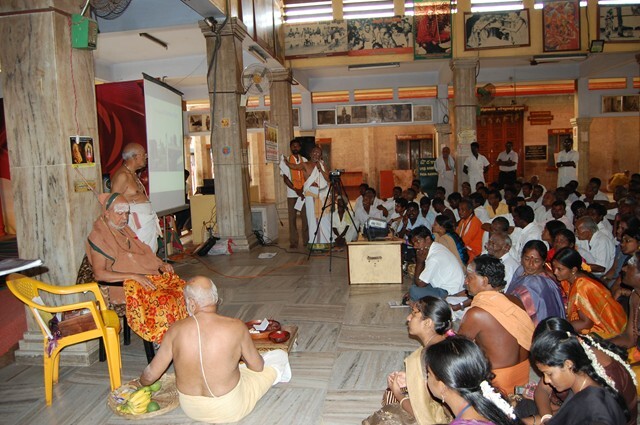 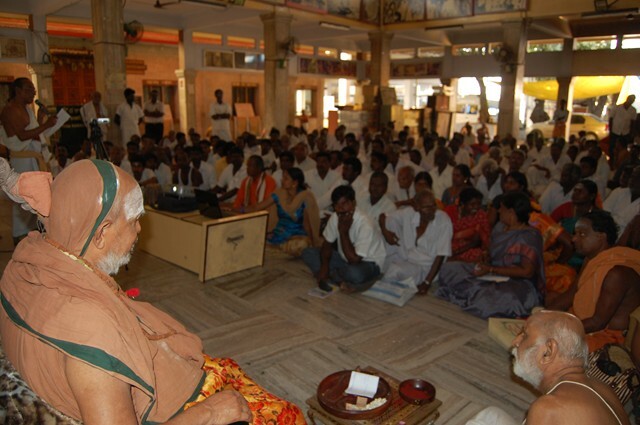 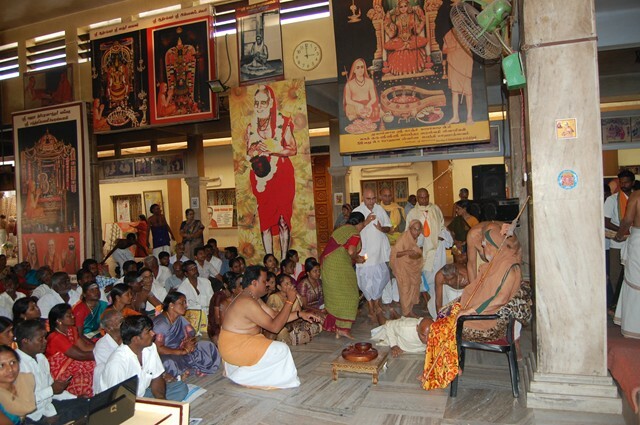 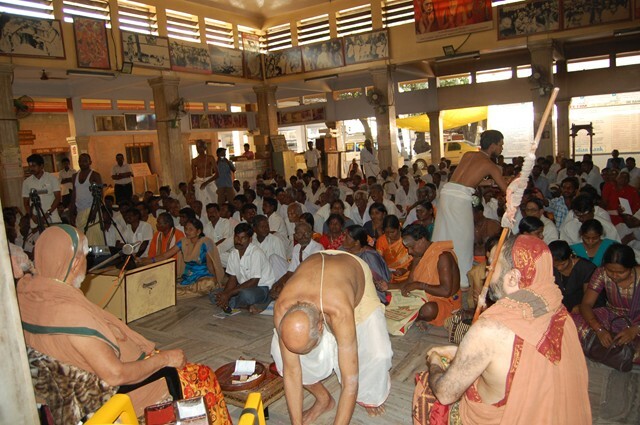 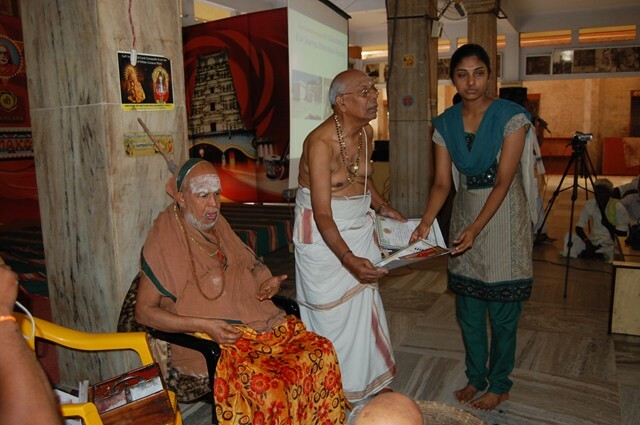 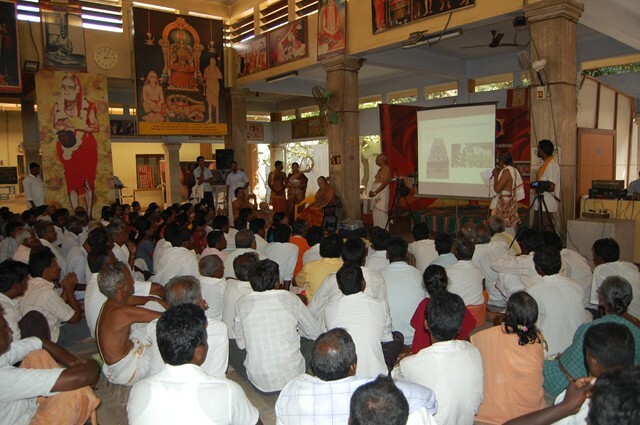 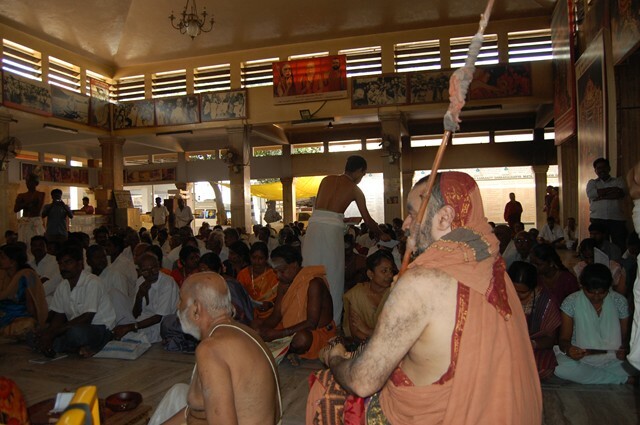 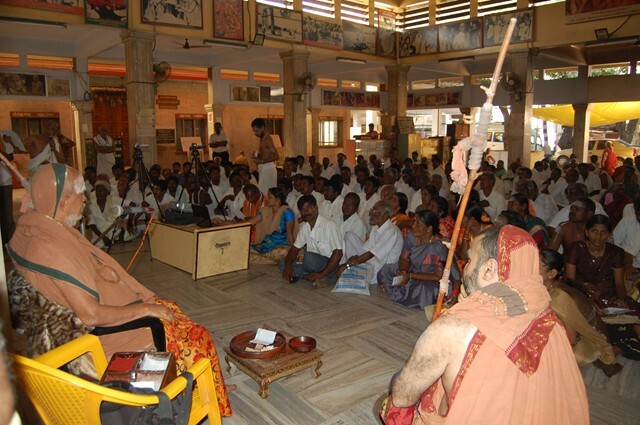 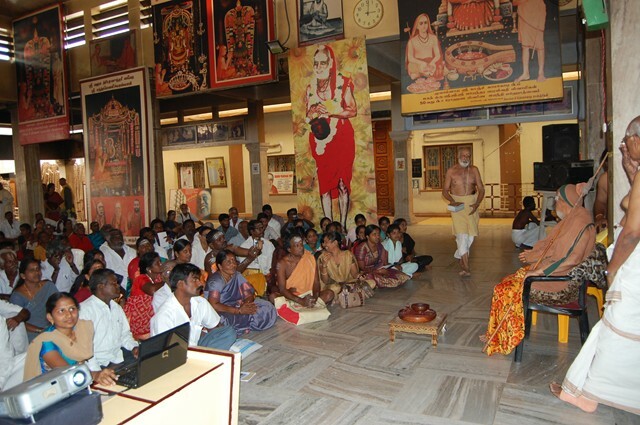 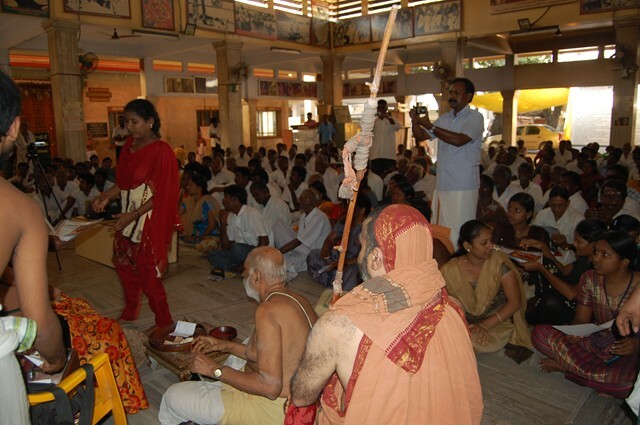 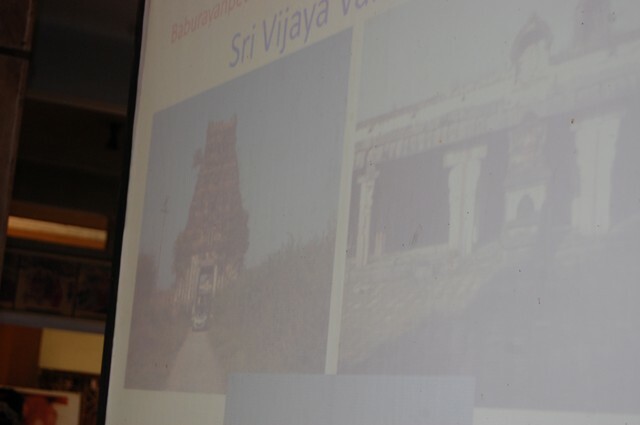 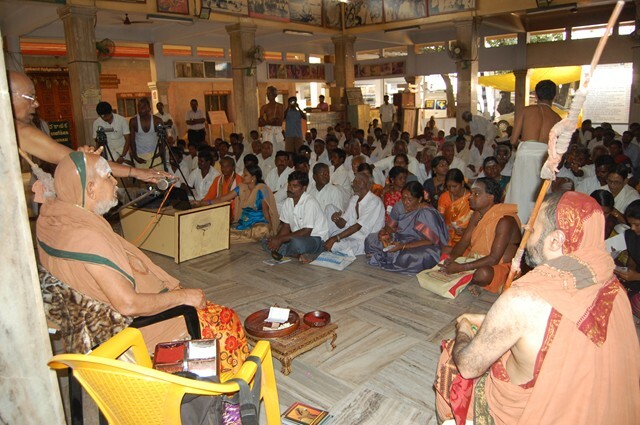 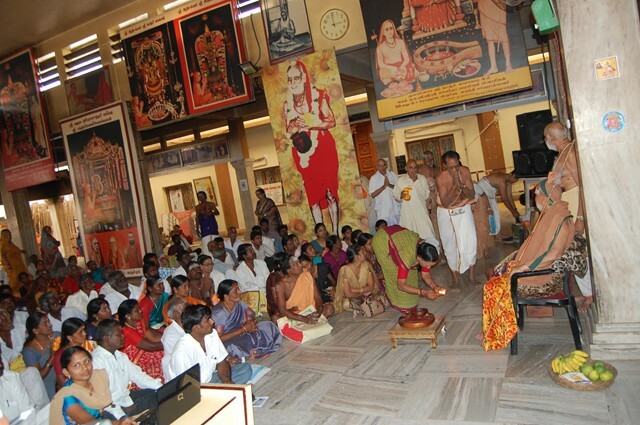 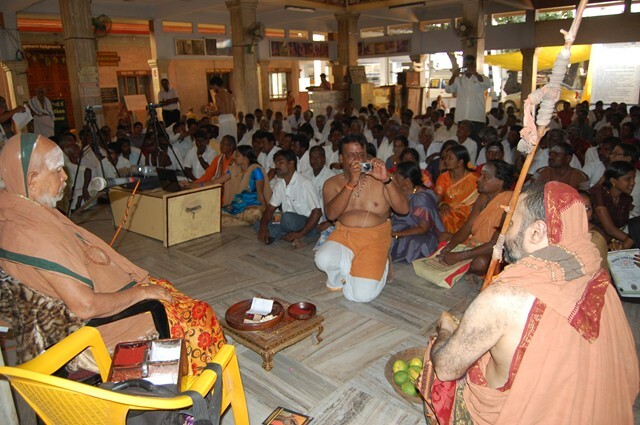 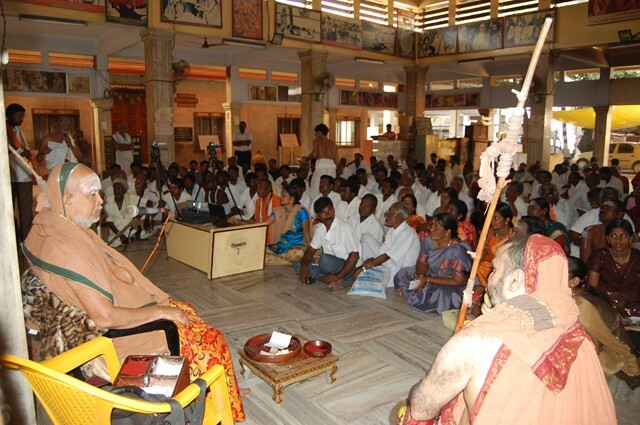 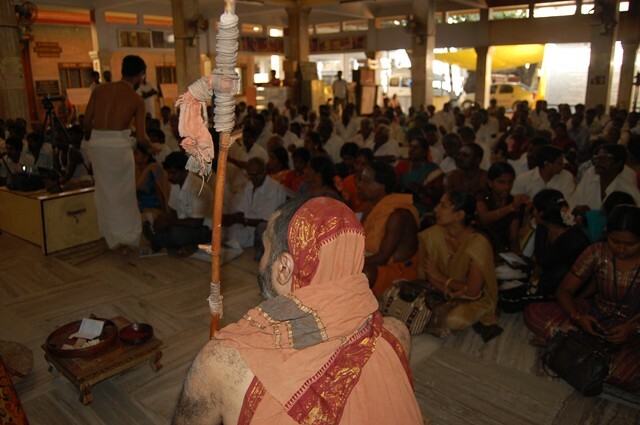 A meeting of the Tirukkovil Vazhipattu Kuzhu was held in the benign presence of His Holiness Pujyasri Jayendra Saraswathi Shankaracharya Swamiji at Shri Kanchi Kamakoti Peetham. 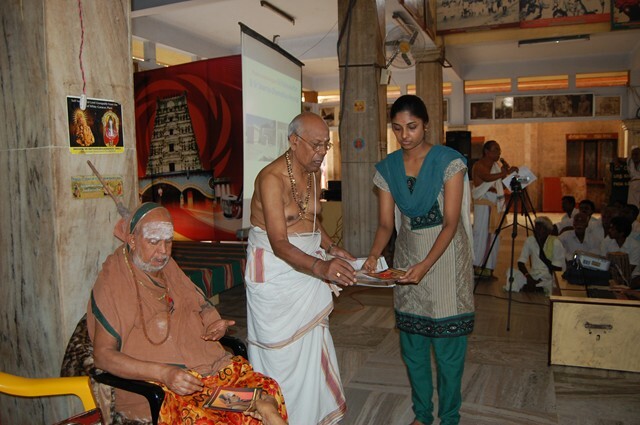 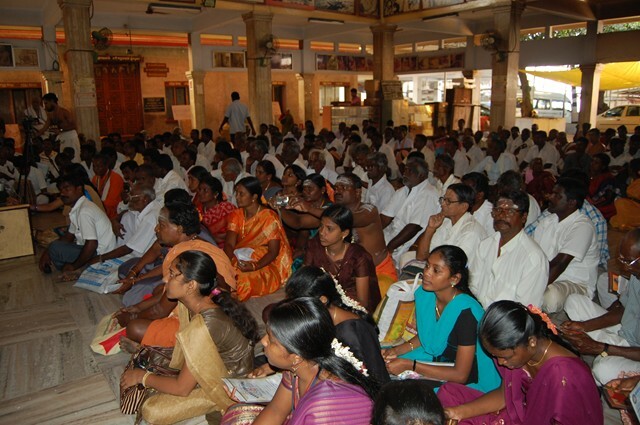 Around 300 people from various places participated in the meet. 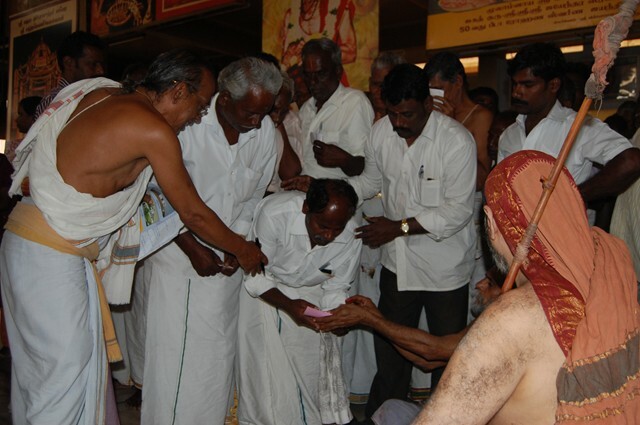 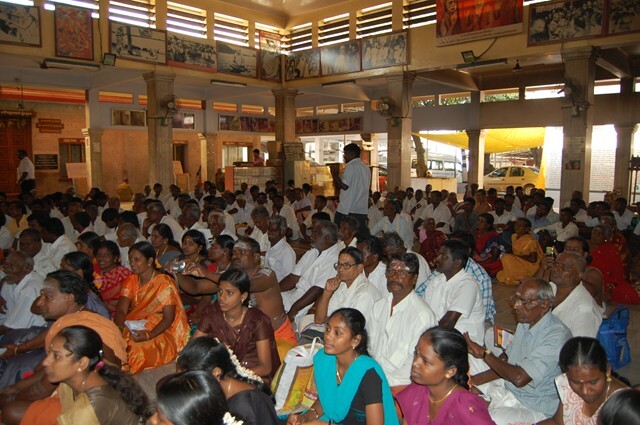 The Tirukkoil Vazhipattu Kuzhu has been started with the benign blessings of Their Holinesses with the objective of enabling the conduct of Nitya Puja in village temples, to involve the villagers to participate in the worship and upkeep of their temples, distribution of materials required for nitya pooja, distribution of religious books & cassettes, organize bhajans and encouraging age-old traditions of chanting Tirumurai, Divyaprabandham, Tiruppugazh, and also to conduct other activities like quiz, yoga competition, shloka chanting etc in the temple premises to involve children and youth of the villages.